For those looking for a more traditional photo booth, this would be the model of choice. 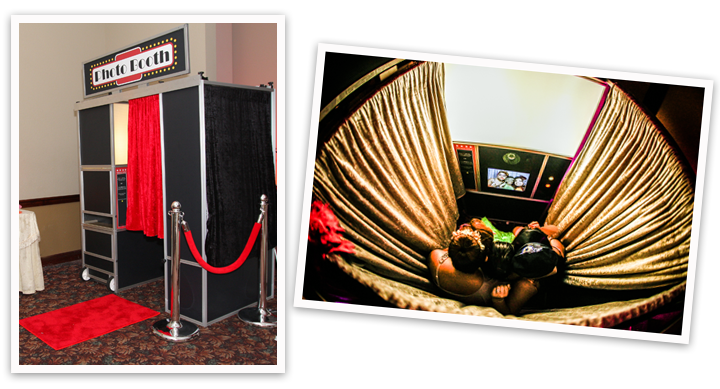 The Party Classic photo booth is a 3ft x 5ft hard body photo booth with a bench that accommodates two to three people. It is enclosed for privacy with a red velour curtain. This model includes the red carpet runner with stanchions and velour rope to give it the Broadway look. It has a built-in display monitor on the outside wall that shows a slide show of all the images taken in the booth. The Party Classic photo booth is heavy and requires a trailer for delivery. Your venue must guarantee easy access and parking for our trailer and SUV.